THINKING OF ENTERING THE SOFT WASHING BUSINESS? 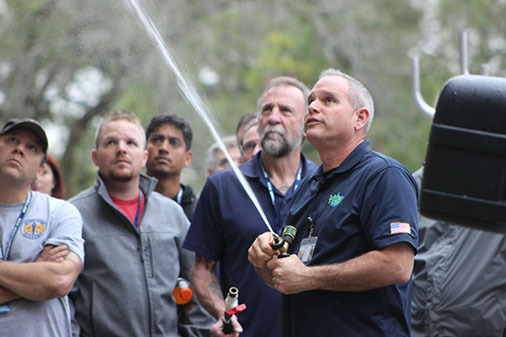 Discover SoftWash is an Educational event hosted at the corporate headquarters of SoftWash Systems in Sanford, FL. Discover SoftWash is aptly named as it’s a fantastic way for you to start out your soft washing journey discovering all its possibilities. At the Discover Camp you will have education that spans everything from basic uses for our equipment, spraying techniques and how to use and understand the chemicals. These classes are both instructional in-class setting and in-field hands on training. The basic introduction of why soft washing is needed, and the biology behind mold and mildew. How to be successful and profitable at selling soft wash jobs. The benefits of becoming an In-Network Company and how you can maximize the benefits by co-branding. How SoftWash Systems equipment line differs from the rest. The revolutionary design of the cradle skid and how it can supplement your existing business, or provide an entirely new business with many capabilities. A hands on demonstration to demonstrate of preventative maintenance and troubleshooting techniques. Breaking down the barriers of “Bleach” and the negative connotation behind it. An overview of SoftWash Systems chemical line, what each product does, and correct mixing ratios for different surfaces and roofs. The laws of environmental protection and how to use them to your benefit. 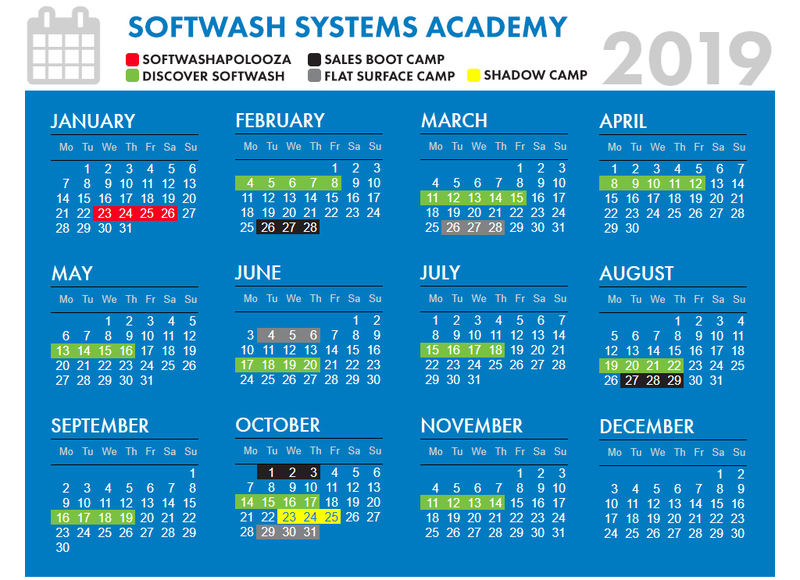 In depth class that walks you through the process of status, benefits and co-branding with SoftWash Systems to build a successful business. An Introduction to how SoftWash Systems is helping the communities around us, and how you can be a part of a change for the positive. How to properly price roofs to make sure selling is profitable. SoftWash Systems (SWS) reserves the right to use any photograph/video taken at any event sponsored by SWS, without the expressed written permission of those included within the photograph/video. SWS may use the photograph/video in publications or other media material produced, used or contracted by SWS including but not limited to: brochures, invitations, books, newspapers, magazines, truck wraps, websites, etc. A person attending a SWS event who does not wish to have their image recorded for distribution should make their wishes known to SWS at 341 Specialty Pt. Sanford, FL 32771, in writing of his/her intentions and include a photograph at least 7 business days before the event. SWS will use the photo for identification purposes and will hold it in confidence. By participating in a SWS event, you are agreeing to release, defend, hold harmless and indemnify SWS from any and all claims involving the use of your picture or likeness. Any person or organization not affiliated with SWS may not use, copy, alter or modify SWS photographs, graphics, videography or other, similar reproductions or recordings without the advance written permission of an authorized designee from SWS.